Are you ready to escape your routine for a day? Relax, rejuvenate, and let the worries of the world melt away with a day of pampering in Novato. This suggested trifecta of yoga, spa and salon activities are just a few of the possibilities available to nurture mind, body, and spirit. Ease into your day with a class at Sukha Yoga Studio. Whether you're new to the practice or an experienced yogi, you'll find a variety of offerings to suit every style and level. Set the stage for your "me day" with this opportunity to connect, energize, and create balance through movements that promote flexibility and a sense of peace. Classes are available throughout the day and evening. Drop-ins are welcome. 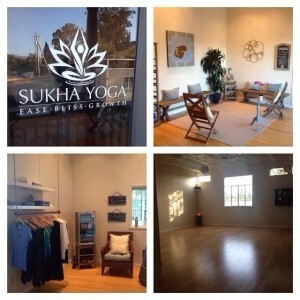 In addition to yoga, Sukha offers workshops in mediation, and spiritual wellness. Call (415) 493-6170 for more information. Keep the bliss going with a visit to Moonstone Skin and Body Care. Surrender to indulgence as their expert staff of massage therapists, and estheticians take you on a nurturing journey of self-restoration. Start with a choice of relaxing massage therapies including organic aromatherapy massage treatments that release tension and soothe tired, achy muscles. Then let the spa's skincare specialists cleanse, hydrate, and nourish your face with a custom organic facial, or enjoy waxing/electrolysis services that will leave your skin smooth and free of unwanted hair. Whether you opt for one or all of these services, Moonstone's team of professionals has you covered! Finish out the day at Le Cut of Marin where the talented hair stylists will update your look with a hip new hair cut, color, or style. 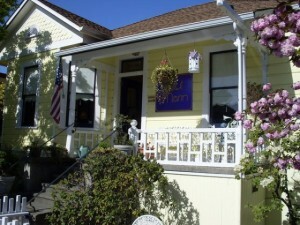 This popular salon, located in the heart of Novato, occupies a charming, 120-year-old Victorian-era building that was once the home of our town's resident black smith. Each appointment begins with an in-depth consultation that will help your stylist customize the visit to your specific needs. Then relax and soak in the warm, inviting atmosphere as their friendly staff pampers your tresses (and you) using the finest products from L'OREAL and Enjoy. Fully restored after your day of pampering, wander over to Chianti Cucina for a glass of fine wine and the best Italian food in town. Viola! You'll feel like a whole new you!